A lovely design based on the artwork of the French Impressionist Claude Monet painted in his garden at Giverny. 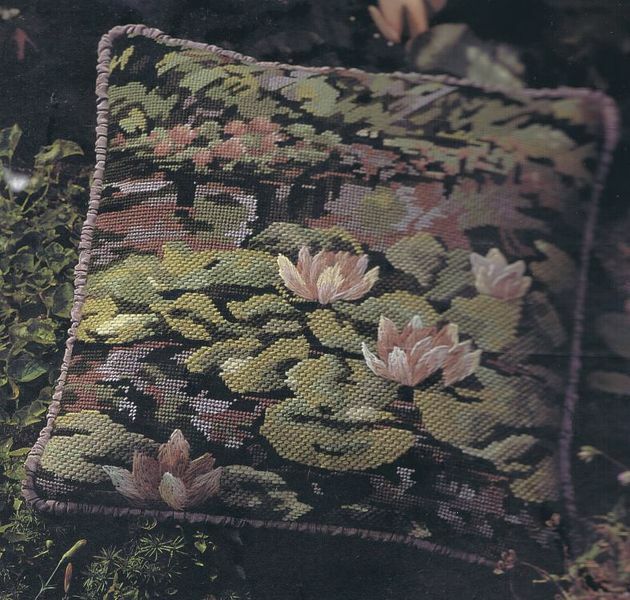 This needlepoint kit comes with a full colour pre-stamped canvas, eleven shades of wools and five of stranded cottons. The design is worked in tent stitch, brick stitch, stem stitch and long and short stitch. A key and diagrams are provided for the stitches. a needle and stitching instructions. Although this is suitable for a cushion, no finishing materials are included.